Judith did a reading from her book, The Hanging of Minnie Thwaites (Arcade Publications, 2011) at Death in July, the women’s crime festival organised by Sisters in Crime and Ballarat Writers Inc in 2014. Inspired by the real-life hanging of a 19th-century baby-farmer, the story is told in a combination of traditional ballad form, lyrics and narrative non- fiction. 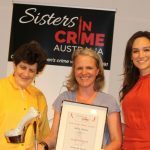 At SheKilda 3, Sisters in Crime’s 25th anniversary convention, she did us the honour of presenting the Silver Stiletto trophy (pictured here with the winner Jacqui Horwood and Nicole da Silva ). Judith published numerous volumes of poetry, some illustrated by her own woodcuts, edited an anthology and the collected poems of Jennifer Rankin. 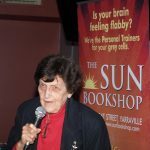 From 1979 to 1982, she was poetry editor of the literary journal Meanjin, and from 1988 to 1997 she was a poetry editor with the publisher Penguin Australia. The play Poor Johanna, co-written with Robyn Archer, was produced in 1994 and her libretto for Moya Henderson‘s opera Lindy, about the Azaria Chamberlain case, was performed at the Sydney Opera House in 2002. She was a recipient of the Christopher Brennan Award and taught at La Trobe University (1969–1985) and Deakin University (1998–2003). In 1994 Judith was made a Member of the Order of Australia, for services to literature. 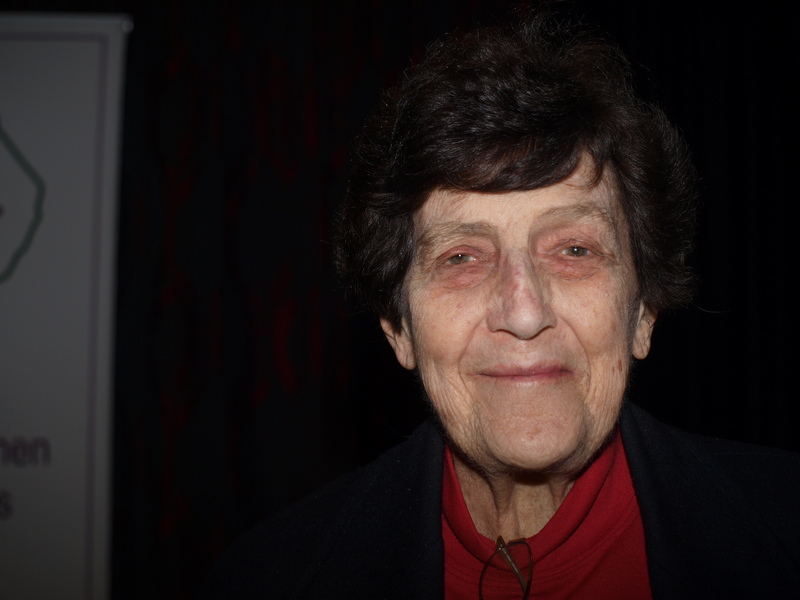 She was a leading member of PEN Melbourne, the writers’ rights organisation, for decades. At the last Sisters in Crime event she attended, she presented a copy of her latest book of poetry, The Feather Boy & Other Poems (Puncher & Wattman, 2018) to convenor Carmel Shute. She noted in her inscription, “Yes, there is a bit of crime here”. Judith’s life will be celebrated on the day of her birthday next year – 13 February (details to come). She is survived by her four children: Sibila, Ensor, Rebeca, and Zoë Rodríguez and her second husband, Tom Shapcott, whom she married in 1982.